We’re Part of App Store Indie Game Showcase! We are incredibly happy to announce that Smash Hit and Mediocre are part of the App Store Indie Game Showcase! As a featured company we’ve picked some of our all-time favorite games from the App Store, games that we hope you are going to love just as much as we do. Click here to see our favorite games! When will levels 12 and 13 come? Smash hit premium from amazon app store?Is there a version available for kindle fire. I can’t seem to find it without a sideload. Thanks. The game is very addictive. Love it. However there is NO music AT ALL. Using the iPhone 6. Any suggestions pls? Hi Lena, happy you like our game If you have tried turning your iPhone’s sound on and off, and tried turning the music on and off in the app, as well as restarting your phone, and it still doesn’t work: please email our support over at support @ mediocre . se (without all the blanks in it) and we’ll do our best to help you out. Three New Game Modes Released! The new Smash Hit update is finally live! You can now enjoy three new, exciting game modes; boss challenge, zen mode and training. Tell us in the comments what game mode is your favorite and why! To update your game, choose the Apple App Store or Google Play and hit “updates”. Make sure to follow our Twitter to stay on top of the latest development from us at Mediocre! Happy smashing! FYI I wrote a good review and posted it. But there appears to be something wrong in the Apple App Store because when you go to the Smash Hit App there and pick the reviews tab, it says there are 60 reviews on the lastest release, but none of the reviews show up when the current version reviews is picked. Hey John, thank you We’ll have a look at this. Hey John, this sound more like a problem with the Apple App Store than an issue related to Smash Hit specifically. Did your review show up in the store eventually? It could have been that when you picked the reviews tab the new update (featuring zen etc) had just been released and no one had actually had the time to give this brand new version a review quite yet? Those 60 reviews might have been on our previous release when we launched some new levels. m looking forward to this. You don’t have to do it but I’m just sayin. Also try to add all the new soundtrack to iTunes pls. If you even can. Thanks for the big update to. The update is really awesome! I couldn’t wait to have it! I love the new bosses feature, makes the game even better, and it was already fantastic! 11 out of 10 stars! I played the mods, thank you! nice game, just purchased, im a fan of marble games since marble madness in the 80′s. I HATE THE MAYHEM MODE! DELETE THAT MODE NOW! Glitch! My game play went into “the cloud” — I think it’s how you load up more software from time to time — but never came back to normal play mode. Now every level, of all four play modes, is frozen in the cloud. Whazup with this? Hey Gramps, if you have any problems with your game and a restart of your device won’t help, please email our support at: support (@) mediocre. se and we’ll do our best to help you out! Add more modes and levels? Great update! Just FYI, Training Mode Level 9 doesn’t go above 500 points. For example, with 498, after hitting three 5pt crystals, it stays at 500. I don’t know if it was set up that way or not, but thought you should know. Thanks you for the feedback Maoni, we are looking into this at the moment! When will there be more levels? All the modes are fun!!! does it only apply to paid version? Okey, your game is just fantastic! But I feel like your company philosophy and it’s name is somewhat negative so I wonder, what games/game companies do you don’t think is mediocre. Maybe even superb? Hi Michael, thanks We just chose a name that that would not be filled with big, loud words about how awesome we are. We are kind down to earth and wanted our name name to communicate this, haha! We are very much impressed by the Swedish game studio Simogo who created games such as Device 6 and Year Walk. We think they create pretty awesome stuff! Great reply! Yeah I checked your blog out, it’s awesome! I must say OI’m compelled by games as media and smash hit really is that kund of game which put together three of my main interests in one: visual arts, sound and science. Would you please help me Medíocre moderator? I just wanted to find out the two remaining hidden achievements, they are the only Inês missing to me. Thanks. And I also pretty enjoyed this game, amazing!! I love Smash Hit. It is the best game I’ve ever downloaded! So I have some questions – when will you release new levels like 12 and 13? 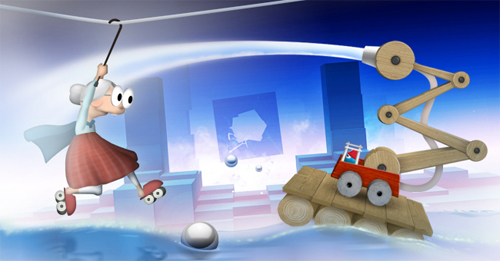 Do you have a planned release date for the new levels? I hope the new levels will come soon so I can love the game more with an increased amount of fun! Mayhem mode is great, gave the whole game a new lease of life, classic I aced long ago..
Training would be nicer if the number of balls wasn’t topped of at 500. It is very easy so the only challenge is maximizing number of balls..
Hello, it’s me again. Ler me ask you something Mediocre moderator. I’ve just accessed the menu to acquire the Premium version of the game, I received the confirmation that I bought it, but in the game menu it shows that I still didn’t buy it. Could you help me? More levels 12 and 13? Hi Ronda, If you want to restart from level 1 you can just chose to press “START” on the first level and play it all again. The game can be played how many times you want On Classic mode Smash Hit always starts the first stage, named “START”, with 25 balls. Cheers! I love this game Alot to say the least, however ive gptten a new phone and try to restore my premium purchase and it will not restore…. can you please help me fix this as i dont want to only play demo version over n over…. Hi Amber, happy you like our game! If you have problems with our game you are welcome to contact our support at: support @ mediocre .se (without the blanks). Please remember that unfortunately you can’t transfer your progress between Android and Apple devices. Thank you! I had an issue with restoring not progress but premiumship from a device to another one with tha same Apple ID. What I figured out would work was tapping the restore purchase button a few times. I had to wait for a day or two but ended up having premiumship on the new device. Is it meant to be this way? And how/up to what extent does the icloud sync work? (My old device was not linked to icloud beforehand though). Thanks in advance! Hank you for your response however i am still having issues even on the web address you have givin. I have now emailed support and haven’t gotten a response as of yet …. is there some kind of redemption code i can be given to help restore my purchase? It would make it so much easier for me, google plus even recognises me on smash hit but still will not restpre nor does it have my cloud saves. Its VERY FRUSTRATING TO KEEP STARTING OVER ESPECIALLY SINCE I HAD SO MANY ACHIEVEMENTS. A REDEEM CODE WOULD REALLY SOLVE THE WHOLE ISSUE, ANY CHANCE OF THIS? I just do not understand why this has to be this difficult? When will this update be available on the Amazon Store? I reached endless mode with more than 200 balls. However I still don’t have the “ballsy” award in iOS game center. Is this an issue of the game or of the system? If it’s the game, how can i solve it? Or what I am doing wrong with the award? Hi, I’ve bought Smash Hit from the Amazon Store but is still to the 1.20 version, When will this update be available on the Amazon Store? Is there a reason I cant unlock the developer love even though I have the premium version of the game? I found a bug in game, which helps to pass all this game till 20000 and more scores. Really like the game!!! Can I purchase the upgrades with bitcoin? Don’t have credit card. Hi, Still one of my fave games! Loving the updates too!!! Hi giys I like the game a lot I have a question when will levels 12 and 13 come out? It says that it costs $0.99 for premium version but when I try to buy it, it asks for $1.99. Google Play store. I live in the USA. the minimalism of the first version was the best ever. contemplation in Zen mode pure was needed to get as far as possible. adding this s an extra resp. new features spoils anything! Hi, the game is fantastic and I want buy premium version. I’ve only one question, if i bought a premium version can I use in more phone? Hellooo? Are you going to fix the problem I have? I will buy premium version, but you have to fix the pricing. I already told you it’s on google play and I live in the United States. Hello Adam, Within the European Union, there is a 25% Value Added Tax (VAT) added to the price on Google Play. If there is anything extra added it could be your bank charging an extra fee for foreign transactions. Please also note that the price on your receipt or bank statement might be in a foreign currency. If this doesn’t help you, please contact our support at: support@mediocre.se if you have further questions. Having trouble unlocking the secret achievement. Any hints? When will the next update be released? Will there be more levels or something else? I can’t believe nobody is addressing the problems that occur in the Leaderboard stats. Almost always, and in every category, the first couple hundred leading scores, or couple dozen at least, are ridiculous numbers like 310,442,009,644. Why are these numbers always there? Makes it impossible to see where I really rank. Hello Keith, I’m sorry for the confusion. On what device are you playing? What app store are you using? And what do “mayhem peak ball count”, “mayhem best distance” and “mayhem longest streak” in the Leaderboards mean? Why do you not simply explain these things? I freaking love this game, but there are many things that go unexplained. What does “longest streak” even refer to? How many balls collected in a row? How many meters travelled without ruining into something? a WHAT?! Third time asking these questions. Full streak in “achievements” means get a 5x ball,so I guess that it’s the most crystals in a row you broke without crashing. When will levels 12 and 13 will be out? Why does the game modes require premium instead of free? One of the few games that I’ve bought the premium version. It was well worth it then, and even better now that you’ve added the new versions. I just tried Mayhem and I really enjoy having the “simplicity” of the beginning levels being enhanced by the harder obstacles of later levels. The music is wonderful! I agree with Peter W about adding extra points if the prism gets hit from a longer distance. Thanks for your hard work! Love the new modes. Finally reached Mediocre in Mayhem mode today. Are you going to get this update available on the Amazon store? If you invented that you are amazing and kind.#1 alwas. Hello Kristin, thank you, very happy you enjoyed our game so much you decided to support our future games by buying the app! If you experience any problems with your purchase I recommend that you contact our support over at: support @ mediocre .se (without all the blanks), and we’ll do our best to help you out! Thank you! Help! My tablet turned off and now all my memory disappeared! f you think there’s anything we could help you with regarding the game you are more than welcome to contact our support over at: support @ mediocre . se (without the blanks). Thank you! So glad i finally went premium after seeing this update. New modes are cool! How can I restore the Premium version which I bought for a different device? Hi there! 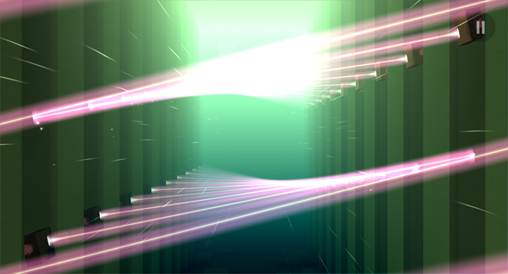 I’ve got a new idea for the new level:level12(I call the “start” “level 0″. )Can you combine the obstacle from 4-1(a cross like the fan)with the one from 11-1 and 11-4(lots of iron cylinders connected with glass,rotating,2 side rotating too)? There’s a “fan” in the middle, and it has four glass sticks. On each glass stick there’s an iron cylinder,contacts with 3 glass sticks and they all contacts another iron cylinder and thats the small fan. End. It have been detailed,hope you can show it in the new level! Smash Hit update is only avaliable on premium version ? Thanks . Smash Hit update is avaliable on premium too ? Hi Matheus, the newest update for Smash Hit (adding new game modes) is available for players who’ve chosen to put in a few bucks for our game. This allows us to continue making new games and offer support for our old ones. We hope you understand our decision. Best Regards, The Mediocre Team. 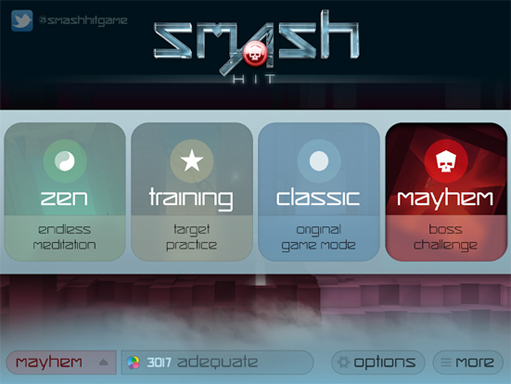 how i can buy smash hit premium on Android device ? I apologize if I came across rude. My son just turned 6 months months old and is fascinated by the game. I figured I could let him slap at the screen and have some fun. Will there be an update later maybe would allow us the get other game type availability on the kindle? New awesome Smash Hit game modes on the way! We only have some minor details left to polish now and then it should be good to go. Share our video if you are as excited as we are! This is going to be the best update ever! I am really excited – do you know when it will be released? This looks very a some!!! Cant wait! I presume the new levels be slotted in before infinite mode? Купила игру ,сняли деньги , а премиум версию не получила , как быть ? It’s here! The first sneak peek from the next Smash Hit update we are working on! If you are hungry for more Mediocre related awesomeness stay tuned on our Facebook page and official Twitter! PLEASE FINISH THE GREAT UPDATE!!! For those of you gamers out there who are a bit tech savvy we have assembled a new blog post about the acoustic environments in Smash Hit! Just click here and dive right in! Happy weekend!